If you are sensing some foul smells around your household, your grow room might be the culprit. Often, lingering odor can be a huge concern for many growers especially for those who live with other people or in apartment buildings. Don't give noisy neighbors a reason to complain about your grow room. In this article, we'll show you how to pick the right carbon filter to scrub the air in your indoor grow room. It’s not easy to choose the right carbon filter considering the abundance of options on the market. Pre-filter. Many carbon filters now come packaged with pre-filters that you put outside of your carbon filter. This pre-filters helps in reducing particles like dust from getting into the carbon filter. Not only will this improve the lifespan of the carbon filter itself, but also the inline fan or other equipment you use with your carbon filter. Carbon Thickness. When the carbon is thicker, the absorption will be greater, which makes the carbon filter more effective in controlling odor. Because they are more efficient, you should expect a higher price tag for them. Portability. With compact carbon filters, you get lesser noise and vibration during operation. These kinds of carbon filters are better at absorbing odor and smell and transporting them into the carbon granules. Unlike those with air pockets in between, this type can catch odor more effectively. Durability. While it might be tempting to go for inexpensive models, it’s better to buy expensive, higher quality carbon filters than for you to choose lower quality ones that may not last long. Sturdy carbon filters have better performance and generally last longer and their maintenance is lighter compared to their counterparts. When choosing the size and filter to go with, you'll have to calculate how much cubic feet is in your grow room. You can do this by multiplying the length by the width and the height. If you're a gardener, then you can usually find these specs on your order but if you can't find it, you can always measure it with the tape measure. In an ideal situation, you want to exchange all your air every minute. To do that, you fan CFM has to match the cubic feet of your grow room. If you're using a carbon filter, you'll want your fan CFM to be 20% more than the square feet of your room. In smaller tents, you'll most likely only need a single 4-inch fan to move enough air. When using a single fan, we recommend using it as an exhaust fan instead of an intake fan so that you can use a carbon filter. Since carbon filters are used as part of an exhaust system, this will cause negative pressure inside your tent which plants don't typically like. So to counter this, you can open one of the screen meshes. Exchanging the air of your room every minute is only if you're not picky. There are a lot of growers who get away with just oscillating fans. If you are a casual grower, exchanging your air every two or five minutes is usually good enough and from our experience hasn't affected a yield all that much. It's more important to stay at the right temperature and humidity range then change your air every minute. Your ideal temperature is between 70 to 85 degrees Fahrenheit or 20 to 30 degree Celsius when the lights are on and slightly cooler. When the lights are off, it's recommended to not have a temperature drop greater than 15 degrees. The ideal humidity for cutting and seedling stage is 70 to 80%. Relative humidity for vegetable stages is 40 to 70% and for flowering, it's 40 to 50%. In general, it's okay to have a filter to be oversized for a fan or grow room because it's not particularly important to exchange the air at a fast rate. However, it is generally not okay for a fan to be oversized for the filter because we won't be able to scrub odors fast enough for most people's standards. If you do have a huge fan for small gross space, you can always install two carbon filters around your exhaust fan. However, keep in mind it's not conventional but it works. The Phresh Filter in this list is the top high-end carbon filter on the market. There are some users complaining that it doesn’t have the capability to withstand frequent usage. But this is countered with a better customer service so you get replies to your inquiries faster. Unlike the Phresh Filter, the iPower 4-Inch Carbon Filter is a much more affordable model for arresting nasty odors. It is built for long-term usage, even with the heavy usage. Overall, a good-valued product for budget user. Other affordable prouduct you should consider is the Amagabeli 4 inch Carbon Filter. Of all the models on this list, it’s the only unit that doesn’t have any complaint regarding durability. Many users also commend it for its strong capacity to eliminate odor better carbon filters like the Phresh and iPower. The VIVOSUN Air Carbon Filter is cheaper but doesn’t promise a better usable life like the Amagabeli carbon filter, and is less popular than the iPower one. Many customers reported that the filter breaks down after a short period of using it. As for the TerraBloom Premium Carbon Filter, it is the only one that doesn’t do an excellent job of cleaning the air of pungent smell. Although, it is manageable as some of the users find that it serves their purpose quite well. Phresh carbon filter has been the most premium filter brand that is widely loved and used by experienced indoor growers. Of all products reviewed in this post, it is the most expensive. Yet, lots of growers still stick with it for its proven quality. This carbon filter has the pre-filter on it so each fresh filter will come with a pre-filter, which is essentially a washable polyester screen that keeps particulate matter from getting into the carbon and clogging it up. 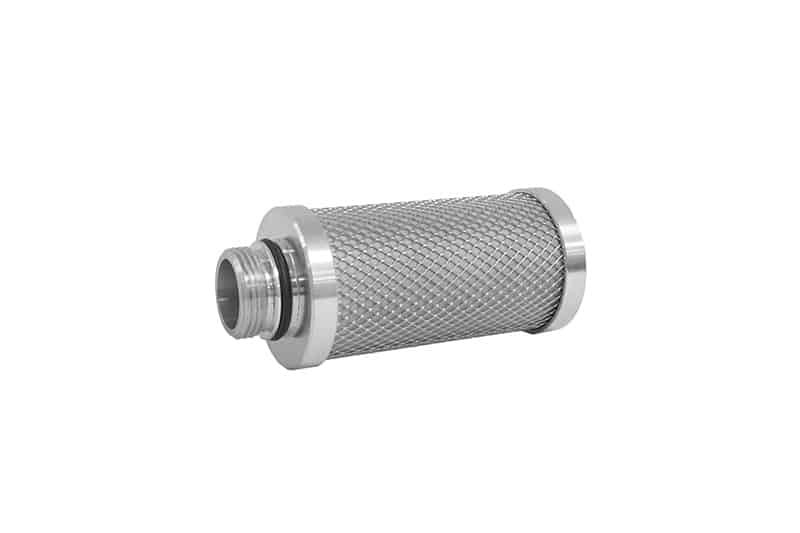 Compared to competing filters, the Phresh Filter is lightweight and has an open air mesh design that maximizes airflow. 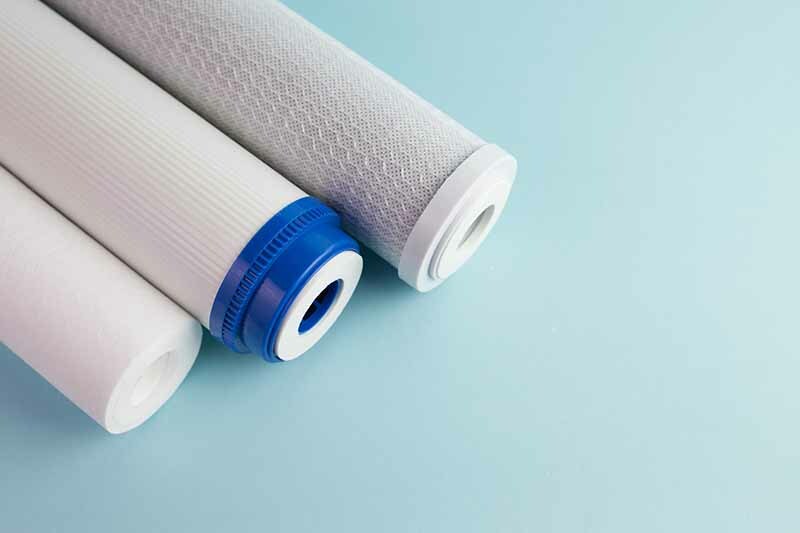 In order to ensure that the carbon filter has an improved lifespan, handling, and presentation, each filter is sealed, bagged, boxed, and labeled immediately after it’s made. Although it is more expensive than other models on this list, it comes with extra features that help prevent dust from accumulating in your grow room. Many enthusiasts and hobbyist also recommend the brand, Phresh, as a reliable long-term brand. The Phresh filter comes in a large selection of sizes so you can find the one that will suit your application. While this carbon filter is handy and convenient to use, there are some complaints about the battery covering wobbling when in use. Another recurring complaint of customers is that the carbon filter is not shipped in a discrete box but in a black box that has “Phresh Intake Filter” written all over it. If you are trying to make your entire operation free from the prying eyes of others, this may be a concern. However, a particular customer commended the manufacturer of a great customer service but ended up echoing what other customers are complaining about the unit failing prematurely, ahead of the duration advertised by the manufacturer. If you are looking for something that can stay with you for some time and not have to buy another each year, this may not serve your purpose well enough. The iPower Carbon Filter uses the Australian RC 412 Activated Carbon that absorbs and traps pollutant molecules from your air. This process removes not only odors but also mold, mildew, and other unhealthy contaminants, keeping your grow room environment supremely clean. It also comes with pre-filter, which ensures you get the cleanest carbon. A vibration table is equally utilized during the packing to maximize the amount of carbon in the filter while also minimizing movement during shipping. The iPower Carbon Filter has a built-in flange that is designed to fit most centrifugal inline and/or laminar air flow fans on the market. The flange and the base are also reversible so that you can remove both to reverse the charcoal canister. This allows you to flip the filter body upside-down for a better longevity. The tops and the bases are made of a sturdy but lightweight aluminum that is powder coated for longevity. The open-air mesh design also allows for maximum airflow and cleaning capability. The manufacturer also claims that this product comes with a 53% open area for air flow so you use the iPower either as an intake filter or an exhaust filter. 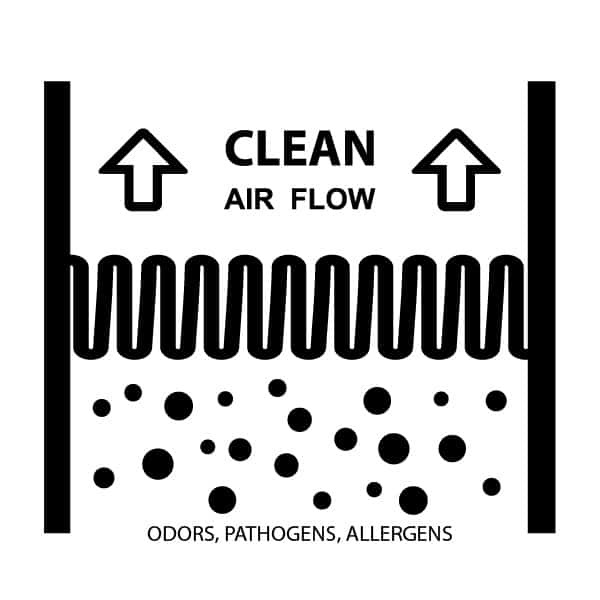 In addition, two poly-cotton pre-filters are included for initial large contaminant removal before air hits your carbon. The general consensus is that this filter is great for arresting nasty odors. While the brand name may be strange to you, it is one of the highly rated carbon filters on the market. It has all the capability to clean your grow room of foul odors, foreign particles, dust, and other organic compounds, thanks to the machine packed Australian Virgin Charcoal used in its construction. The Amagabeli 4 inch Carbon Filter has washable pre-filters and elastic bands that can easily be mounted around carbon filter. The inner and outer mesh is made of Aluminum and portable, which makes for an increased air flow, thus making it the perfect equipment to use when you are growing tomato plants, pepper, herbs, and vegetable lettuce. Amagabeli 4 inch Carbon Filter comes with a charcoal design that ensures appropriate absorption of air molecules to ensure lifelong usage. It does a good job of moving air, keeping lights cool and filter out smells for better health and privacy. Many of the users are particularly pleased with the quality of the filter and how it lasts longer, compared to other competing brands. But because it is heavy-duty (which should be a good thing if you are concerned about durability), some users noted that it’s heavier than expected. Some of the users complained about the fitting not being as they expect and others go the length of finding a way around by using aluminum duct tape to hook everything together. If you are disturbed by the pungent smell coming out of your grow room and want an effective system for cleaning this up, this might be what you are looking for. It makes growing basil, sage, thyme, and other herbs indoor easier and can help you keep your entire operation minor so others don’t notice. Much like the Phresh Carbon Filter, the VIVOSUN 4 Inch Air Carbon Filter comes with a pre-filter wrapped around the unit to ensure the air that passes through the unit is cleaned properly. This helps to prolong the usable life of the carbon charcoal inside the unit. It can handle up to 500 CFM and many users have successfully used it with 4” inline fan. And while this is the 4” version, the manufacturer also offers others in 6” and 8” if you want a larger size. The manufacturer also makes use of galvanized steel for the body with a high-quality charcoal, so that it can be used either as an intake filter or exhaust filter. It comes with good instruction on how to install it in the different ways. Like the iPower Carbon Filter, this one also comes with a reversible base and flange as well as the filter belts to support the carbon inside your grow tent. Thus, you’re getting a filter that can be used for longer when you flip it over in the future. While it’s an affordable option among the carbon filters in this list, we have determined that the quality is subpar based on the overall performance and reviews from its users. Quite a significant number of customers complain of the filter giving out only after a brief application. The last on the list, the TerraBloom Premium Carbon Filter, comes with a carbon bed that’s 46mm thick and machine packed with small granules, thus giving you 15% more carbon than what’s obtainable with the 38mm carbon beds in other filters. The smaller pellets also make for a tighter packing inside the filter to minimize movement. And with fewer pockets in between the granules, you’ll get an improved performance in the filtration process. Made with the RC-48 Grad Australian Carbon, the quality is a lot higher than other filters out there that use larger carbon pellets. The carbon filter is effectively backed by a 90-day warranty as well as a superb customer service from the manufacturer. You can either utilize it for household applications such as filtering out plant-based allergens and other foul smell in your home or in your grow rooms to filter out bad odors. According to the manufacturer, it is effective up to 24 months of use and rated up to 200 CFM. However, you may need to use a clamp to make it operate quietly. Some customers also complained that it does a poor job of cleaning the air of pungent odor with some others hinting at overall poor quality makeup. Carbon filters are widely used in reducing odor and control the emission coming from growing applications. They are particularly useful for eliminating air contaminants such as allergen, pathogens, and other unpleasant odors that come out of a grow room/tent. Ambient air is passed through the carbon filter and the carbon content captures the vapors in the air – which are responsible for the pungent smell – and take them out of circulation. While the air is in the filter, the carbon reacts to any contaminant and traps them into the screens out the impurities so that the air that goes out is clean and free of foul smells. This effectively lowers odor-causing chemicals, which in turn reduces the odor in the grow room. As long as your carbon filter is of a good grade and fitted into a strong ventilation system that can force air into the filter, you should be able to prevent any odorous smell from escaping into the air. You should expect to change them a few times depending on how much you are growing and how often you do that. Carbon filters help you eliminate odor you’d otherwise find difficult to eliminate without the help of one. Not only are they safe and reliable, they are very efficient and effective in controlling the odor in your grow room. So, if you are a serious grower, it’s a must to have one in your grow room. They are generally easy to use and install. And they can last for a very long time, depending on how much you are growing. Carbon filters have minimal maintenance that once installed; they can last until you need to change them. They are better than other forms of odor control because they’re not going to present a risk of damage to what you are growing. If you are looking for an established product that has been used and proven by lots seasonsed grow room users, the Phresh is your best choice. Even though their prices are a lot higher than other counterparts, it's hard to deny that you have to pay extra for quality products these days. For those who are on budget but still look for a popular and good carbon filters, go with the iPower product. It comes with pre-filters, which enables it to last longer. As mentioned in the review above, it is sturdy and well-constructed such that you get a higher value for your money.